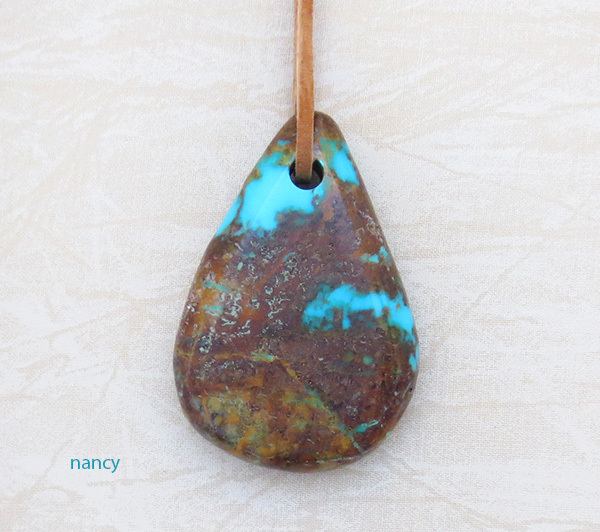 This necklace features one big piece of beautiful turquoise. 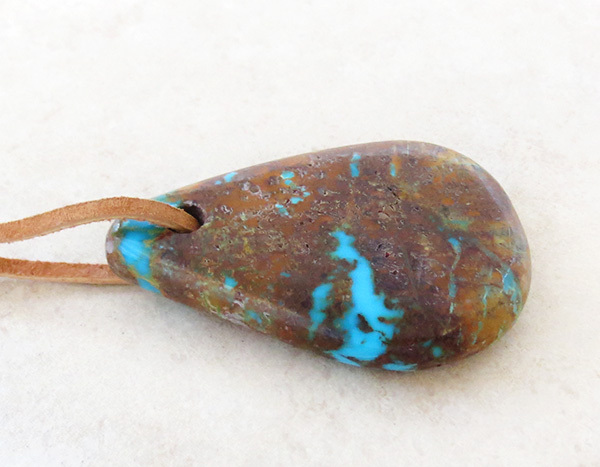 The turquoise stone is a really bright darker sky blue with lots of lot to dark golden browns. 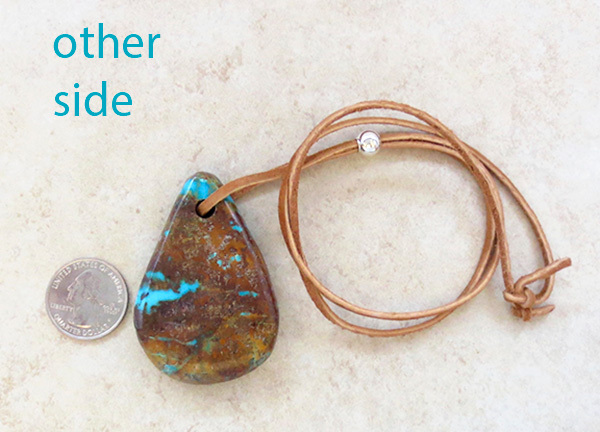 It comes with a simple brown leather cord that's about 24" long. 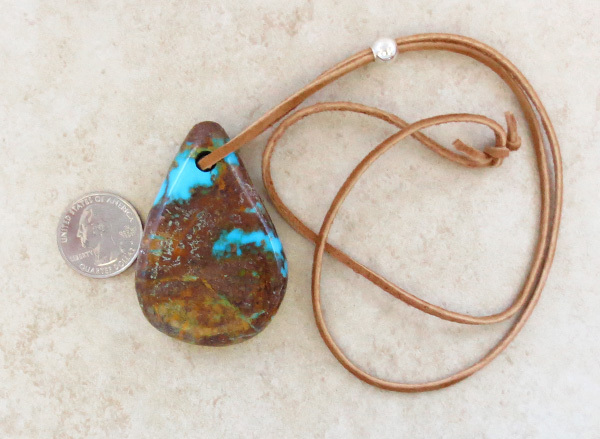 The stone is 2 3/8" tall by 1 1/2" at it's widest point. weight: 47.2 grams on my scale.